My name is Claudio Ruiz, but I am best known as DR. PHOTO. I am 25 years old and I am in my last year at university on my way to be a dentist. I was born and raised in Oaxaca city, located at the south part of Mexico. Always surrounded by a magnificent landscape, beautiful people and unbelievable cultural traditions. Now my passion is to communicate and let people all over the world notice how great we are. 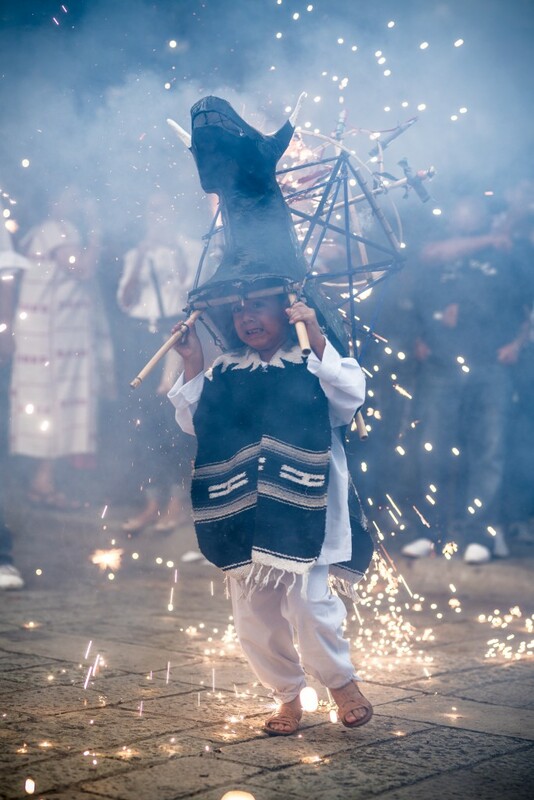 This picture was taken on the greatest event Oaxaca has to show its culture, Guelaguetza. It happens only once a year and is divided into four presentations where our cultural dances and ritual are shown to the world, all of them with something particular and mind-blowing experiences. 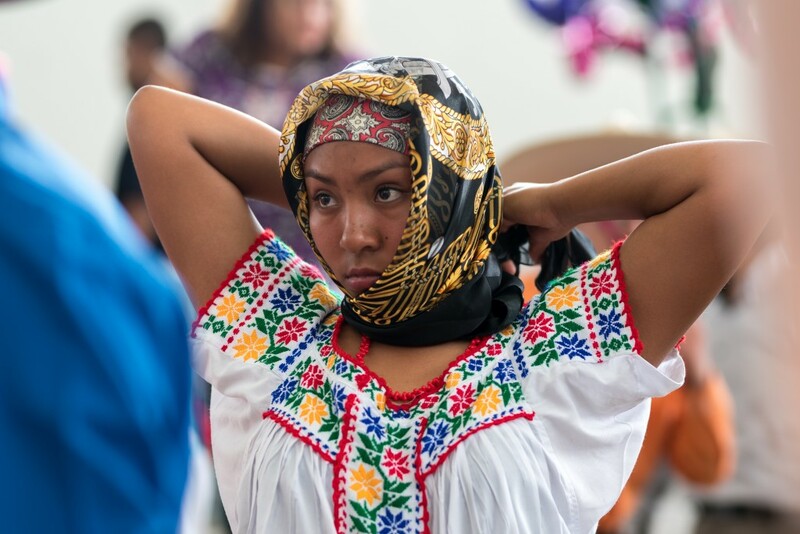 This girl was part of 2018 show representing the Mixteca area. While checking the last-minute details in her outfit, I felt her energy and passion for what she was about to do. This kind of parades called “calendas” is the way to go when you want everybody to see you and your loved ones celebrating a special moment in your life. Full of elements that represent our culture, the “torito” will make you feel even more into party mode. In this picture, a little boy is taking the risk but at the same time the honor to carry it and announce the beginning of the celebration. Today´s lifestyle is mixing with what we used to do in the past. 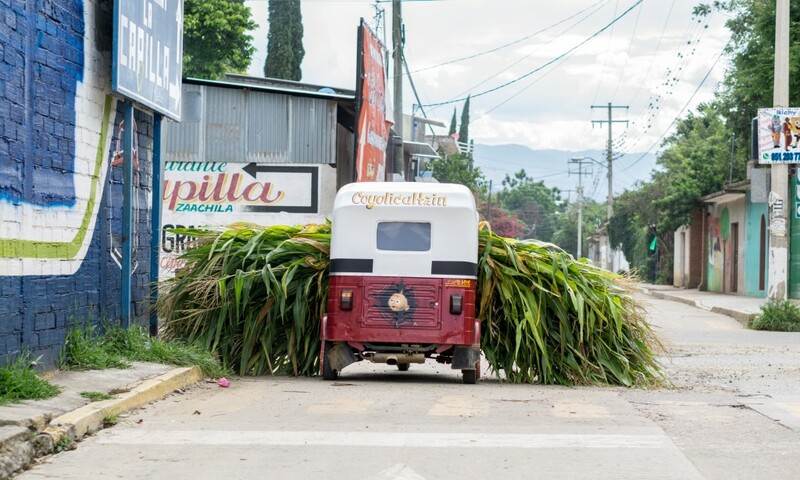 Oaxaca has always lived by tourism and agricultural practices. With the same passion we show the world what we are in cultural terms, we cultivate and bring to life most of the supplies needed for traditional food. We are known as people who always find the way where some others think its impossible. 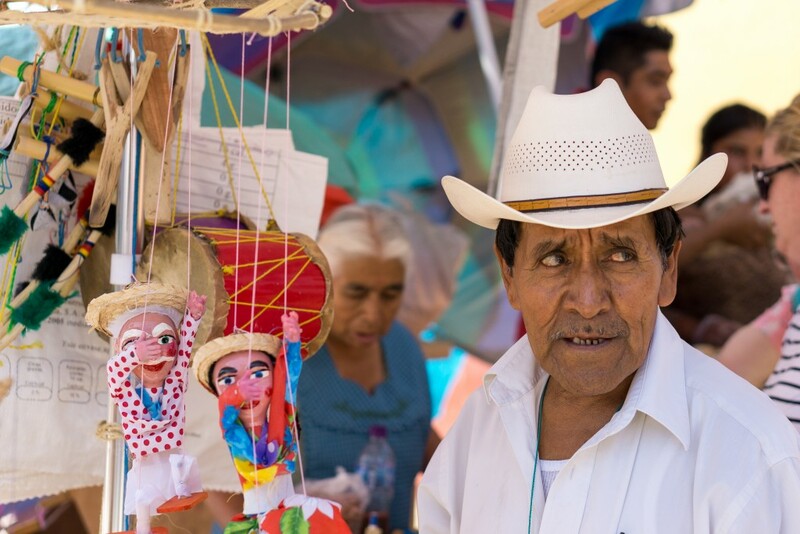 You can always find this man at the same place every week in Tlacolula. If you go by the principal church, you will find him selling handmade traditional toys. Even when the globalization has arrived to almost every spot I know, we still have that inner part that makes us say Wow! When we find something so spectacular and so simple at the same time. He will always say Hi! To you with a sincere smile. With my 25 years’ experience living in one of the most beautiful places in the world, I have to say I have been blessed. Since I was a little kid I have been always fascinated with all my hometown has to offer us to experience. My parents always took me and my sisters on long walks in the morning, showing us what was outside the noisy city we live in right now. At some point, I just started willing to capture everything so that more people outside my family could be able to appreciate what we have, and we sometimes don’t even recognize because of our busy schedules and contemporary lifestyle. Then it became a passion almost four years ago, not only for places but for the people that make our city, our state and our country so rich in culture. Now is my lifestyle, I wake up thinking of the next adventure, and go to bed at night dreaming about the same thing. I must recognize that this would not be the same without the support of my family that is and always will be there for me. When I talk about my inspiration, it is all about a mix of feelings and thoughts. When I started taking photos, what captured my attention the most were people faces, actions, gestures because they make you feel you understand them. You can start dreaming about what they are going through even though you don’t know them. The greatest part of this is when you truly feel the need to know their part of the story and find that your deductions were kind of right or they were completely wrong. When I started taking pictures, I did not even realize the impact I would be facing because of them. By uploading them through social media, I connected people from my city to their families in other countries. Separated families because of economic factors as “the American dream”. That was the point when I understood the magic behind all I do. Not only because I love to do what I do, but because of people loving it. Explore more vibrant photos captured by Claudio Ruiz (Dr Photo) in his unique collection – take a look.